Mangaung Municipality in Bloemfontein was most impressive with its automated municipal processes having halved the time to transfer property. Mangaung has been rated the best performing metro as South African cities continue making efforts to improve the ease of doing business although the pace of reforms has been slow in the last three years, a new World Bank Group report released today has found. The Doing Business in South Africa 2018, the second in the sub-national series on South Africa, analyzes business regulations for domestic small and medium enterprises in nine major cities, focusing on construction permits, getting electricity, registering property, enforcing contracts and trading across borders. The report found that in the three years since the last study, Cape Town, eThekwini, Johannesburg, Mangaung and Nelson Mandela Bay implemented reforms, and that four of the reforms improved the conditions for businesses to obtain electricity, while one made it easier to transfer property. 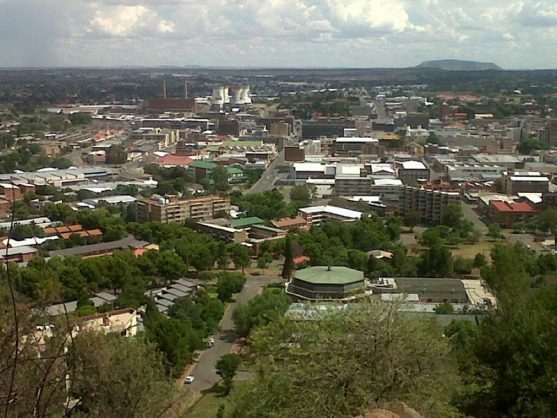 Mangaung Municipality in Bloemfontein was most impressive with its automated municipal processes having halved the time needed to transfer property from just over seven weeks to three weeks. As a result, Mangaung moved from lowest performer in this area in 2015 to best performer now. Mangaung excelled in property registration, with only seven procedures for effecting a property transfer. It also maintained its lead in enforcing contracts, with the lowest cost for commercial litigation in the country. And, along with Msunduzi, Mangaung was the fastest in contract enforcement. But the municipality lagged in construction permitting. Pilar Salgado Otónel, program manager of the subnational Doing Business Unit at the World Bank, said efforts by South African locations to reduce the time, cost and complexity of bureaucratic processes that can hinder private enterprise were a welcome step in the right direction. “Better collaboration between national and local authorities will go a long way in expanding the scope of future local reforms and putting in place a regulatory environment that allows businesses and entrepreneurship to flourish, creating much-needed jobs. We hope this report will serve as a roadmap for reform at the subnational level,” Otónel said. The report finds that no location does equally well across all areas measured, and there is room for peer learning. Cape Town, eThekwini, Johannesburg, Mangaung, Msunduzi and Tshwane, for example, were good performers in two areas measured, but they had room for improvement in other areas. Deputy Minister of Finance Mondli Gungubele said the National Treasury welcomed the report as it provided a baseline from which to measure the progress of South African municipalities, especially metros, in facilitating an investment-friendly environment. “The purpose of city activities to promote economic development should be to provide effective platforms for local economic activity. In general this should mean providing the essential infrastructure and services that facilitate economic activity and investment. Sophisticated marketing or industrial development schemes will be irrelevant if water and electricity cannot be reliably supplied,” Gungubele said.